The new NetEnt slot Stickers™ was launched last week in several casinos. 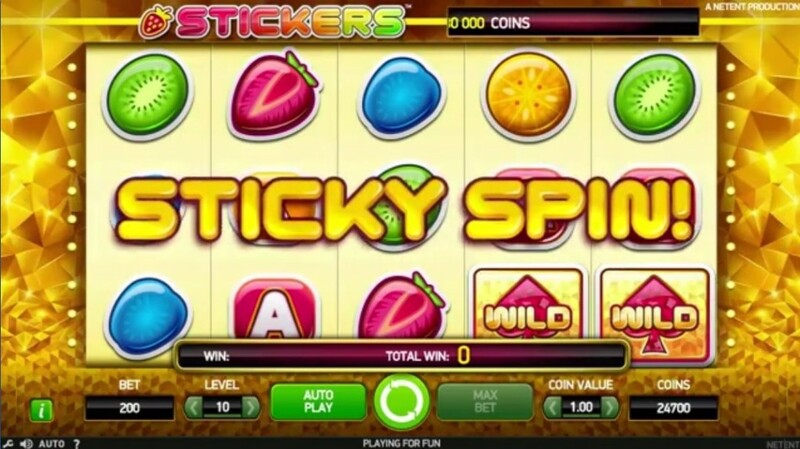 Stickers is fresh and colorful fruit themed slot with 5 reels, 3 rows and 20 paylines. It has three special game features, Wild, Sticky Wilds and Sticky Spins. Sticky Wild symbols will activate free Sticky Spins. These features will bring a lot more excitement to playing experience. It could be said that Stickers rely on traditions when it comes to visual appearance. However, the general impression is modern and stylish.